40% savings on Books and More! Check out these discount for up to 40% off the regular price. These prices are available now through the end of the month on select sellers. When you create an account at Abebooks.com, they will send you exclusive promo codes up to 15% that you can use to save money on their site. Ongoing sale on new titles. Books for below the publisher list price. No coupon code required. Free Shipping on books by J.K. Rowling, Jamie Oliver and many more. Washburn Books - Save 40% Off! Washburn Books is offering 40% off specialty literature, art, and fiction. No code required. Save on new and used Art and History books. No code required. Check out these collections of rare books discounted from 10%-60% off.No code required. Curated selections of used books for as little as $1 plus shipping. Ongoing. No code required. Sale! 35% savings on First Editions, history, lit and more. No code required. Sale! 20% savings on books from Bailgate Books, Dartmouth Books, and MHTraveller. No code required. Ends Jan. 29,19. Save 10% on specialty Theology books. No code required. AbeBooks is an online marketplace where booksellers, as well as fine arts and collectibles, can connect with potential buyers. It was founded in 1995 by two couples from Victoria, Canada. In 1996, it went online and was selling through platforms such as Amazon.com, e-Bay, and BibliOZ.com. In 2008, Amazon.com acquired AbeBooks, which was by then a successful online e-commerce company. Currently, AbeBooks has international subsidiaries and owns several online books and antiquarian market sites. These marketplaces include: Book Finder, ZVAB, Fillz.com, and Chrislands. AbeBooks, whose original name was Advanced Book-Exchange was started as an e-commerce search engine for rare books, collectibles and works of art. Today, buyers can now find new books and textbooks on the site as well. The marketplace works by offering sellers a platform to list an inventory of what they are selling. This inventory is searchable by interested buyers who can contact the sellers directly or through AbeBooks to make the purchase. The sellers pay a monthly subscription fee to list on AbeBooks. The fee starts from 25 dollars/month. Once the fee is paid, the seller is then free to set their prices and shipping rates with the minimum price being 1 dollar. The platform provides an inventory management system for sellers and a unique URL where buyers can interact with what you are selling. AbeBooks also gives promo Coupon codes that you can take advantage of to get discounts on their purchases. Once you find these promo codes, it is important to know how to apply them to save on your shopping. Upon receiving a coupon code, the first important thing is to note it down so that you can input it later on after you have put the items to buy in the shopping basket. Please also read carefully what discount the coupon offers and where it is applicable. AbeBooks’ search portal is very user friendly and responsive. You can search by Title, Subject, Author, ISBN or even a part of the Title or Author. There are several ways to refine your search, the form of binding, seller location, free shipping, or book condition. You can also apply other attributes like the edition and whether it is author signed. Once you are comfortable with your pick proceed to click on the “Add to Basket” tab, next to the item. The “My-Shopping-Basket” page shows the cost of the purchase as well as the shipping costs. Below that, there is a box for you to key in the coupon code. Key in the code you had noted earlier and click on the “update” tab. The shopping basket will adjust the cost by applying the discount provided for by the coupon. When you are done selecting items to the shopping basket, click on the “Proceed-to-Checkout” tab to complete your purchase. AbeBooks is designed to be highly interactive and accessible. It gives a platform to the biggest community of book lovers in the world to share in their passion. You can connect with thousands of sellers and buyers on their official website www.abebooks.com. On their site, you can register as a seller and easily search for books and make a purchase. They are highly active on social media, where you can follow them on face book page at https://web.facebook.com/abebooks, twitter through their twitter handle at https://twitter.com/abebooks, Instagram and their YouTube channel. There is more on their blog and podcast. You can also get in touch with AbeBooks for a personal query on the help and “Contact Us” sections of their website. AbeBooks allows buyers to return books that they have purchased in case of dissatisfaction. Buyers can get a refund of the book price and shipping cost if the return is due to an error on the bookseller’s part and it is done within 30 days of the purchase date. Some of the errors that can result in a refund are; if you received the wrong book, if it was the correct book but inaccurately described and if the book arrived damaged. 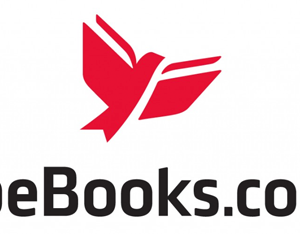 AbeBooks provide an easy way to return your purchased items and receive a refund through their website. By initiating the return, the booksellers return address is provided to the buyer and the bookseller is appropriately informed. The other reason that a full refund is provided for by AbeBooks is in case the book did not arrive at all. A buyer may also wish to return a book in case they are not happy with their choice, even though it is the correct book they ordered. In this case it is the discretion of the bookseller to agree to the refund or not.